Continuing with our look at different areas around the region; this week we are looking at the area of Hemel Hempstead itself. Although there are many different sections of Hemel Hempstead – almost mini villages, such as Boxmoor, Adeyfield, Chaulden and so on.. there is a big part of Hemel Hempstead which would be defined as Hemel itself. With the huge amount of redevelopment which has taken place in the town centre, there has been a real resurgence of residential areas in and around the immediate town centre. There are now a real mixture of properties – the new apartments in the iconic KD Tower – ideal for young professionals, with modern décor, light and spacious interiors, and the shuttle service to the train station, making it a great choice for those commuting to work. In contrast to these, and barely a stones` throw away; the period properties located in The Cotterells, are packed full of period features and traditional townhouse charm. The town centre itself is formed of two distinct areas – the old town of Hemel Hempstead has undergone a real period of change in recent years, and is now a fabulous combination of boutique stores, eateries, and charming independent shops. The Old Town Hall is the jewel in the crown of the old town – with regular concerts, film screenings and plays providing a wide range of entertainment for all. St Mary`s church must also deserve a mention – regularly photographed for the pretty exterior – it has been a place of worship for over 850 years, and it`s easy to see why it is so popular. At the other end of town – the Riverside plaza has bought a new energy to the town centre. The large Debenhams store is surrounded by a range of restaurants, high street stores, and coffee shops, and continues to thrive. The town centre is now always buzzing, and the high street vendors and market stalls which are dotted along the parade provide an ever-changing tapestry for those who are browsing. These two areas are connected with the Marlowes Centre – originally built in 1990, the shopping mall continues to prove popular with shoppers, and carries a large number of household names. Another new addition to the town centre, and one which looks to be a real asset, is The Forum – a multi-purpose building, to house the key council services – environmental health, planning, benefits and housing, with the library, café and registry room to replace The Bury – Hemel Hempstead`s old registry office. The bringing together of these services will provide a `one-stop shop` for residents, and should be a real boost to the services which keep our community running smoothly. The Jellicoe Water Gardens are also undergoing a facelift – with a budget of over £3.4 million – some of which came from a Heritage Lottery fund, and the landscape of the area is being totally revitalised with the work being done. The totally revamped Jarman`s Square has also made a huge difference to the town as a whole – with a new-look cinema, extreme sports centre, and excellent range of restaurants. The Snow Centre is also close at hand, and attracts snow-sports enthusiasts from miles around. 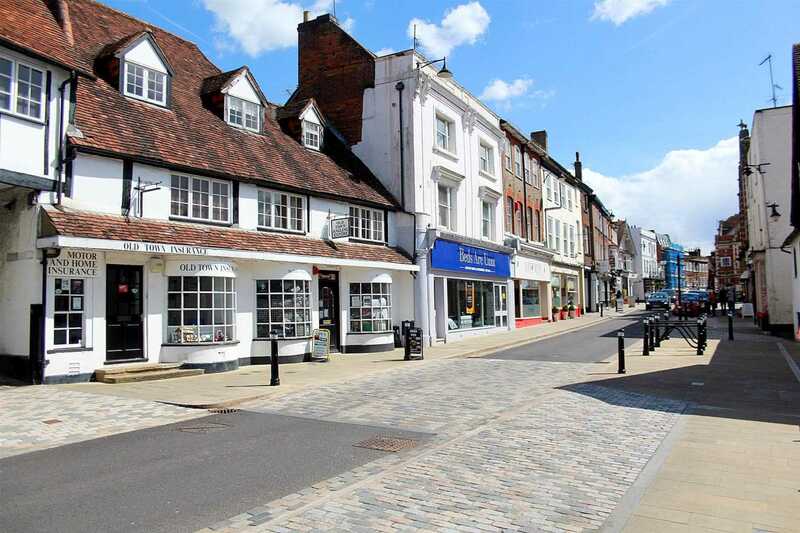 The price of properties in Hemel Hempstead is slightly lower than some of the surrounding `village` areas, but has all of the added convenience of being walking distance from such a wide range of shops and places to eat out. The town centre is only a short walk, or bus ride from the train station, with its frequent services to London and beyond. For more information regarding properties for sale in the town centre, please call the office on 01442 248671, or go to daviddoyle.co.uk.